CD Projekt Red has revealed the release dates for two of its current projects, Thronebreaker and Gwent. Both properties are spinoffs of CD Projekt Red’s bestselling The Witcher series and capitalize on the fanbase’s desire for more games set in that universe, without being direct sequels. 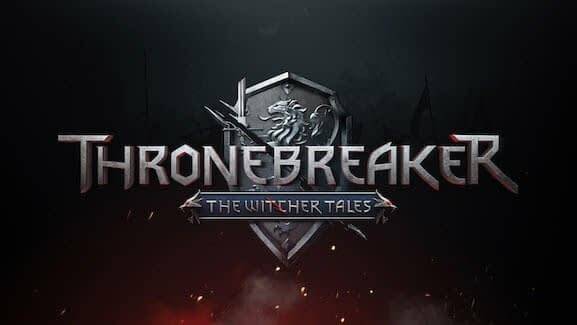 Thronebreaker is a single player RPG set in the world of The Witcher that combines the same narrative-driven exploration experience that fans love with unique puzzles and even some card battles just to keep things interesting. Thronebreaker was developed by some of the same devs responsible for the most iconic moments of The Witcher III: Wild Hunt, so you should have decently high expectations of it. In this Witcher Tale, we get to play as war-veteran and queen Meve, who holds sway over two Northern Realms – Lyria and Rivia. So we’ll get to see some new parts of the Witcher universe with Meve as she faces an imminent Nilfgaardian invasion. Because Nilfgaard is good for only one thing, and that is invading everyone’s business. WithNilfgaard at her gates, Meve is forced to go on the warpath and set out on a “dark journey of destruction and revenge” which, honestly, sounds absolutely perfect. So while working on their way to Meve’s revenge, players get to explore new and never-before-seen parts of The Witcher world, embark on rich quests with multidimensional characters, gather resources to expand their army, and even play some Gwent. Thronebreaker: The Witcher Tales will release on PC via GOG.com on October 23rd, 2018 with a console release on Xbox One and PS4 set the follow on December 4th, 2018. As for Gwent, the publisher announced that Gwent: The Witcher Card Game is coming out of beta once its biggest update, Homecoming, has gone live. Gwent will launch on PC on October 23rd, 2018 on GOG.com. Just like Thronebreaker, it will also get a console release on Xbox One and PS4 on December 4th, 2018. Homecoming was announced back in April, and brings significant changes to the way you play Gwent. Homecoming fleshes out elements which made the original mini-game from The Witcher III: Wild Hunt a player favorite. The update also incorporates several changes made based on gamer feedback. It also includes a complete rework of the game’s board into a fully three-dimensional battlefield featuring two distinct rows, a new deck building experience, and new card mechanics. Homecoming will hit Gwent on October 23rd for PC players. You can find out more details on the coming changes in the video below.